In November 2010 there was an air of glamour around Anfield. Liverpool’s new American owners, Fenway Sports Group, had only been at the helm for a month, a month in which they had been given a rapturous welcome simply because they weren’t the hated and now ousted previous owners Tom Hicks and George Gillett. Fenway’s work with baseball’s Boston Red Sox was being cited as a precursor to success in the Premier League, and they were keen to try and translate a famous method across from one sport to another, crossing a continent at the same time. The Moneyball story is one of the most well-known in American sports. In 2002, the Oakland Athletics general manager Billy Beane transformed his team’s fortunes by ushering in a sophisticated “sabermetric” approach to acquiring players. Operating on a relatively low budget compared to the other, bigger teams―which included the Red Sox―the Oakland A’s set an American League record of 20 consecutive wins on the way to finishing top of the American League West, despite their squad featuring plenty of players who had been overlooked by others. This meant that they could be paid fairly low wages, but these players nonetheless possessed the statistics to indicate that they could still be a success. The policy worked. 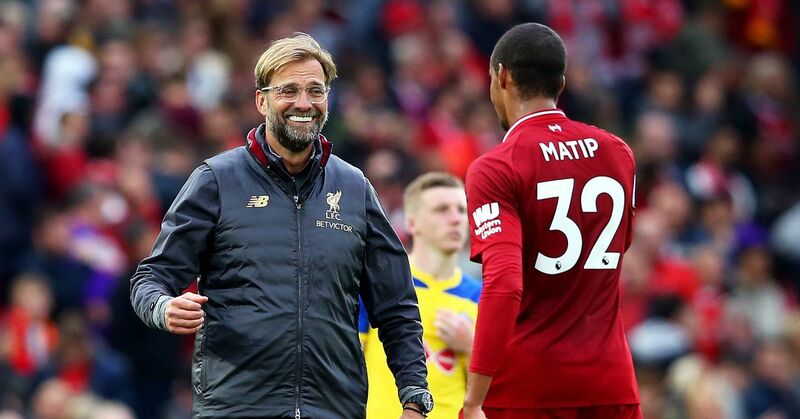 Fenway supremo John Henry fell in love with the concept of Moneyball as soon as he saw it in action, and after he sought to put it in place at the Red Sox, he also felt that it could work with his new purchase―Liverpool Football Club. The Oakland A’s story had received widespread exposure thanks to a book written by Michael Lewis in 2003, and in November 2010―just under a year before Brad Pitt would star in the movie made about the Moneyball story―Henry looked to appoint his own Beane-type figure at Liverpool. He ended up with Damien Comolli. The Frenchman was a vaguely familiar name to most Liverpool supporters due to previous roles he’d held with both Arsenal and Tottenham Hotspur, but as a Director of Football Strategy―later shortened to just Director of Football―at Liverpool he’d have a lot more power. He certainly made his presence felt. Comolli’s first transfer window saw Roy Hodgson leave to be replaced by Kenny Dalglish, but with the Moneyball approach still very much in its infancy Liverpool were thrown into deadline day drama when Luis Suarez arrived, Fernando Torres departed and Andy Carroll signed for a British record fee, an eye-watering £35 million. It was a figure that hung over both the player and his club for the next year-and-a-half, but it was the summer of 2011 that underlined just what Fenway, Comolli, Dalglish and Liverpool were trying to do. Carroll’s statistics showed that he scored the vast majority of his goals from crosses into the box, and so a study of the sabermetrics would attempt to lead Liverpool to players who could provide him with that service. Charlie Adam was one of the most accurate deliverers of a dead ball in the Premier League during Blackpool’s relegation season. Aston Villa’s Stewart Downing was one of the most frequent crossers of the ball for his club over the previous campaign. And the young Sunderland midfielder Jordan Henderson was keeping pretty impressive company near the top of the chances created table. One thing that Moneyball couldn’t prepare Fenway for was the frequently inflated prices of British footballers, though, and around £44 million was splashed out on the trio, with comparatively low wages used as a reason to back up the signings. In the end, it didn’t work. Adam was found out a little when operating at a higher level than he was comfortable at, whilst Downing and Henderson struggled for confidence in their first season on the global stage―confidence that they have since discovered under Brendan Rodgers. All of which meant that this supposedly sabermetrically perfect setup simply didn’t work. In baseball, a game where the fundamental aspects are pretty much always going to be the same (i.e. a bat and a ball), these stats might have combined to form a great team, but football features different tactics and different approaches. Things didn’t work out as Liverpool had hoped. Comolli was gone before the end of the season, a season in which the Reds had done well to reach two cup finals but hadn’t offered a convincing argument as to their new way forward being a long-term one. Instead, Fenway Sports Group have decided to focus on youth, backing manager Rodgers’ judgement in signing two of his former players in Joe Allen and Fabio Borini, before ramping things up with the exciting January arrivals of Daniel Sturridge and Philippe Coutinho. Crucially all are 23 and under, and although the drawback to only signing young players can be that you’ll have to wait a little while for some success, you can be sure that these are players who are being signed simply because they can play a part in Rodgers’ plans, and not solely on the basis of statistics. Moneyball was a great baseball story, but as far as Liverpool are concerned perhaps it should have remained just that.